Building site hoist is widely used in many construction projects, using an electric hoist helps a lot in freeing human labor and raise work efficiency. 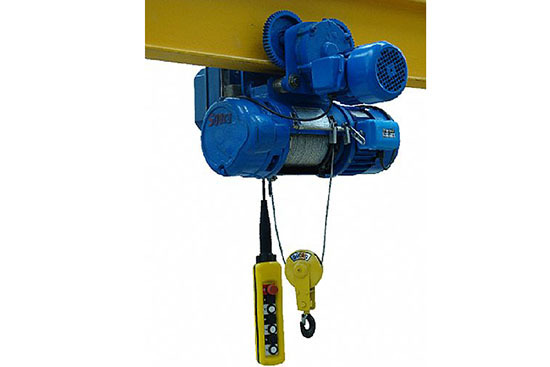 The hoist can work well in temperature higher than -25°C and lower than 40°C. For humidity, lower than 85% is available. 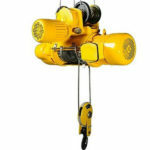 You should pay attention to not use your electric hoist in occasions have explosive danger and corrosive medium. Moreover, lifting molten metal, poison, inflammable and explosive material. Ellsen is the best hoist brand in China, choose us you will get high quality products in an economical price. 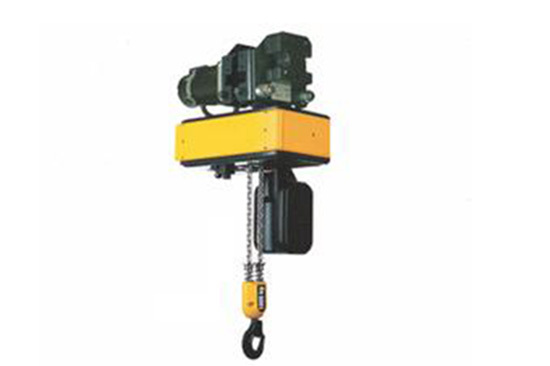 Firstly, the work class of Ellsen hoists are M3 to M5, which belongs to medium light lifting device. When the work class raises one level, the relevant rated loads should decrease 20%. 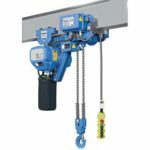 And Ellsen provides types of electric hoists, basically, they can divided into chain hoist and wire rope hoist according to the appearance. 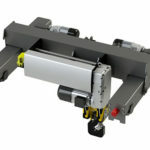 And if divide them by price and quality, we have high level and mid-range hoist for you. 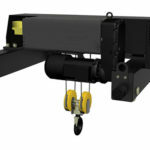 High level hoist also called Europe hoist, which confirms to FEM standard. 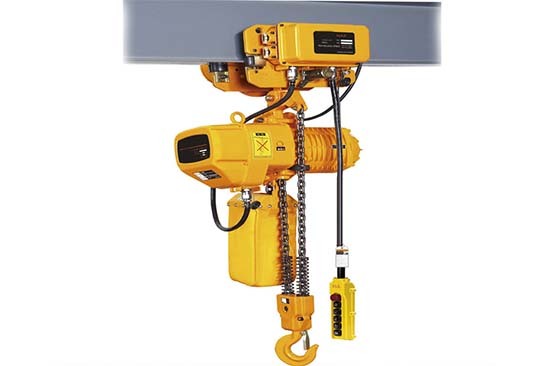 This hoist has less requirement for ceiling, and produces less noise when working. 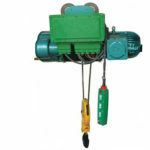 Europe hoist also assembled three in one motor to have a compact structure. 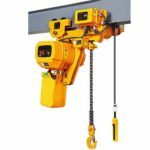 How to check electric building site hoist before installation? Before install a hoist, you should prepare well all hoist parts need and check them carefully. When you get your hoist from us, check the box according to container load plan. After open the box, check the hoist parts to make sure no broken and missing. 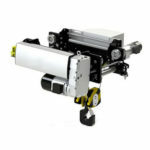 Then, read the introduction of your electric hoist carefully to learn the structure and components. 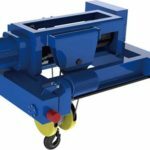 Pay attention to walking pulley, current lead introducer and hook device (except ten tons hoist), they are take apart from the main machine when binning. Thirdly, clean the finish and dirt on footboard of electric trolley. Fourthly, add oil to lifting and running reducer, do not forget to seal oil filling port in case of leaking. After all item checked, you can prepare to assemble your building site hoist.